Payton Du Pont lives in a prison not of her own making, but one she’s too frightened to step away from. Five years after a brutal attack by her then fiancé, she still lives in fear of crowds and men in particular, except when she’s working as a temporary nurse for the doctors of Meadowsville, VA.
James Hamilton III, M.D. stepped away from the Hamilton business of plastic surgery to make his own way as a family physician. Left at the altar by his fiancée nurse, so she could marry higher in the doctor hierarchy, he’s sworn off dating nurses forever. 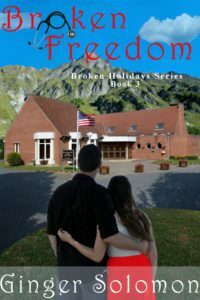 God brings them together, but they have to fight their fears to find a future full of freedom.